Great managers have never mattered more. In a fast-paced, global and complex world, organizations need leaders to keep them productive and competitive. 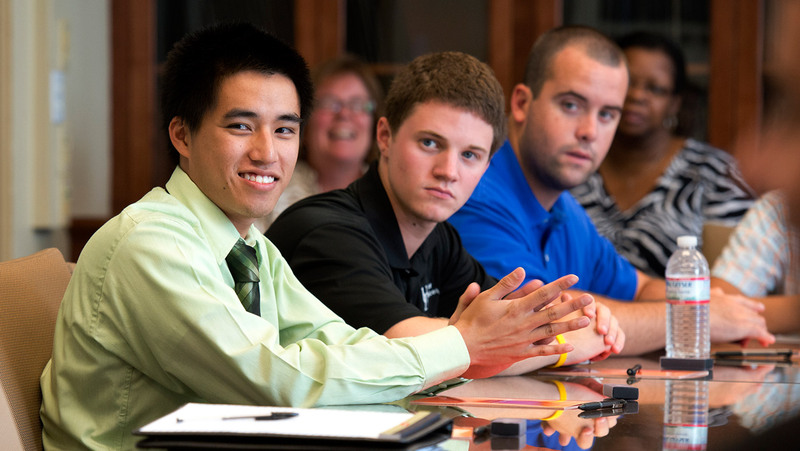 The management major will help you become one of these leaders who works with others to effectively create and implement ideas. Our combination of a strong liberal arts foundation and a highly relevant professional education prepares you to think deeply, critically and analytically when confronted by a world of business problems and opportunities. If you enjoy interacting with diverse groups of people, taking a leadership role, coordinating with others to identify and accomplish common goals or solving challenging organizational problems, then management is the major for you. Required courses address business concepts in organizational behavior, negotiation, conflict resolution, human resources, organizational design and strategy. After graduating in 2017, 94% of Lerner’s management graduates were employed (earning a median starting salary of $47,800) or pursuing further education. For more information on career resources please visit the Lerner Career Services Center. Visit the Career Outcomes of Lerner management students to see more top employers, job titles, salaries and locations.